Sorry for the lack of posts recently, I thought I’d attempt to make amends by (hopefully) giving you something nice to read, accompanied with a hand-picked selection of my very own screenshots. In this post I’m taking a look at those nostalgic first encounters and how these experiences are so key for open world RPG games. I promise I’ll return to posting more frequently, I’ve just had trouble finding time recently. The first recent game that crossed my mind was Elder Scrolls Skyrim, a game that everyone must have played with such high critical acclaim making it impossible to ignore. 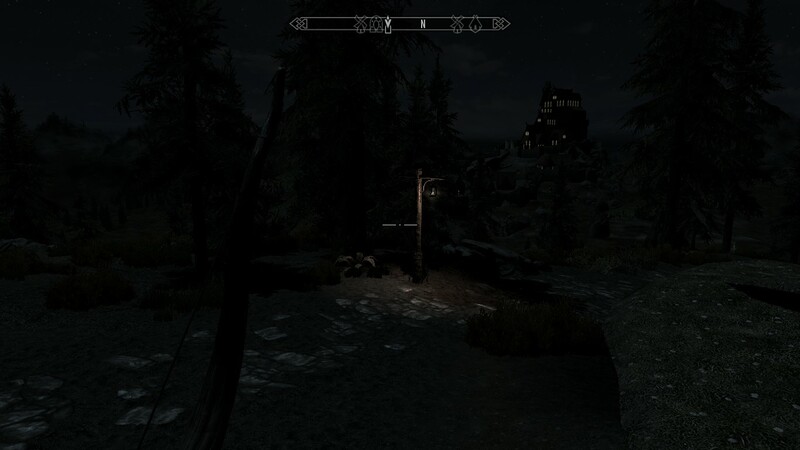 I’ve really being dying to do something Skyrim related on my blog for the amount of enjoyment and time I spent playing it. A good indicator I find for how much I like a game is how much I want to collect all achievements and achieve 100%, as by doing so I should discover most of the content. Including Skyrim, I’ve only managed this feat seven times… although some games are just evil! Ahem Civ 5. The music featured here is directly related to the games in my Video Game Origins and Great Games I Miss posts, so please check these out first! These are my favourite soundtracks from each of these old games I used to play, enjoy! I find them all highly nostalgic and it gives me a weird mix of happiness, longing and sadness at the memories I have of these games I grew up with. This is the first gaming post in a while so I apologise for the wait! I’ll be looking at some of my favourite games which are either now inactive and have “died” or I can no longer play because of compatibility or updates. It’s a continuation from my video game origins post where I looked at the first few games that I really got engaged with, so I recommend checking that out first! It’s also my second post in the “Nostalgia” gaming category and I think it’s quite a good topic to talk about because of the attachment that exists. 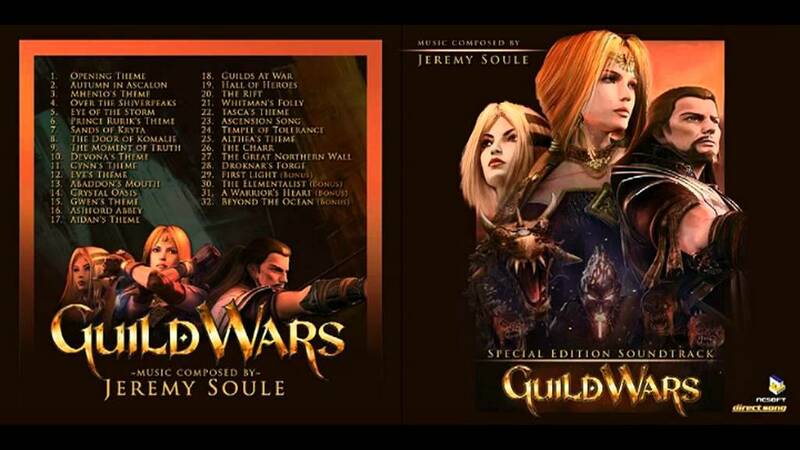 You may be aware that I’ve already done a review on two of the games, Guild Wars and RuneScape, however this post just focuses on aspects that I miss. Hopefully you’ll have played at least one of these and can share your sorrows with me! Okay so I hope I don’t get lowered in your opinion of me by including a Call of Duty game but I’ll have to run that risk! 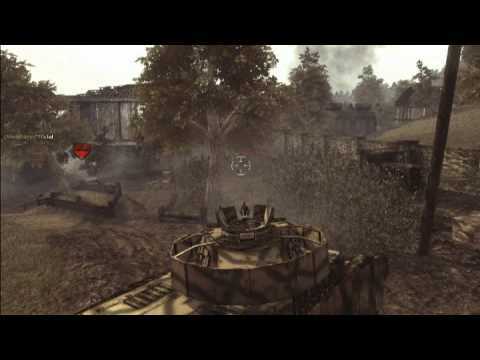 World at War is the only Call of Duty game I own, and I think the reason why I’ve never bought another was my computer at the time really struggled with the single player campaign and only ran smoothly on the multiplayer maps, so I feared it would be unable to cope with any newer versions. I’m not sure therefore how this version ranks with the rest but I really did enjoy playing the multiplayer maps from the late 2008 release to around a year later when everyone left to play Modern Warfare 2. I’ve been thinking back to all the content that I gradually came to master after playing the multiplayer maps for so long, such as learning good spots for sniping, safe areas to hide, what loadouts to use on what map, and learning how to effectively use each weapon, and more, and I do have to wonder how you could put that effort in to a new Call of Duty game every year! My favourite maps were “Asylum” and “Seelow” where I found a few good sniping spots which would frequently reward me with plenty of kills. In maps with Tanks it would always be really cool to try to evade them and try catching them unaware with a bomb. I also liked how you how to make choices that could prove worthwhile or costly with the Perk system, such as choosing the “Fireproof” perk that’ll reduce fire damage taken, but perhaps you should have taken “Toss Back” which would allow you to throw back a grenade with its timer reset to save you from getting exploded! I found it very addicting and has influenced me to try out other shooter games since. It was always inevitable that players would leave with the arrival of a new game but it still leaves me saddened how popular online games can just “die” with new releases, making it difficult to find players if you want to continue playing. The thrill of dodging tank blasts! I think the best way to start my blog would be to talk about the first few video games which got me into gaming. These genres which I discovered from an early age would prove to remain of interest many years later. From my memory, I think I was around six or seven when I first got a PlayStation 1. I played a number of games on it – with the aid of my very patient dad! – but Spyro was my favourite. This adventure style game with gems and other collectibles became every evenings entertainment and I’d often wait when I got home from school for my dad to return from work to get me through levels I couldn’t complete. 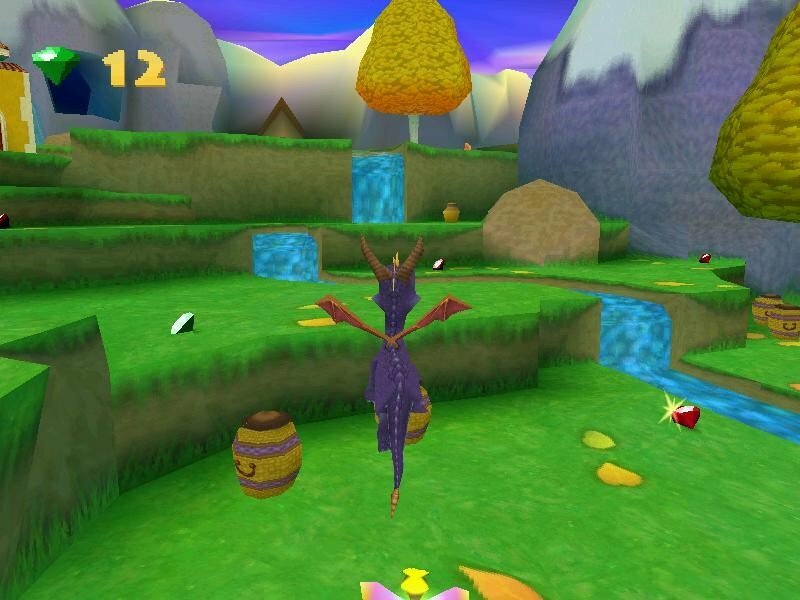 Unfortunately the Spyro games which followed the first three were to be no longer developed by Insomniac Games and lacked the spark which made me love the purple dragon. I got a PS2 a few years after its release and have only recently replaced it with a PS3. I’ve just played the first five Spyro games so I don’t know if the series did pick up, however I do know that he is now looking rather different in the Skylanders universe! I’ve found myself returning many years on, partly due to nostalgia of course, to relive those adventures which had such a great impression on me and now without the help of my dad!